I cannot offer a fair report on the contemporary art scene in Mexico City (aka el DF). “Why not?” you may ask. Well, in most cities this size and age, the amount of hustle is well beyond what I could fit into one entry. However, it is not impossible to give you a few points of entry or coordinates to el DF. Nine, to be exact. I will give you a brief run-down on three contemporary art venues worth visiting. 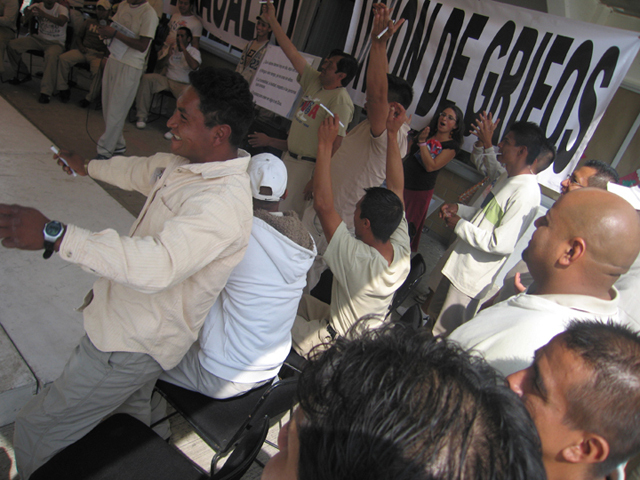 Then I’ll take the liberty of recommending four publications that have come out in the past few years on performance art in Latin America, in particular on art collectives and intervention work in Mexico City. These books are important because there are very few documents on Latin American performance and intervention art. Finally, I’ll include a more detailed first-hand account of two performances by La Lleca collective. 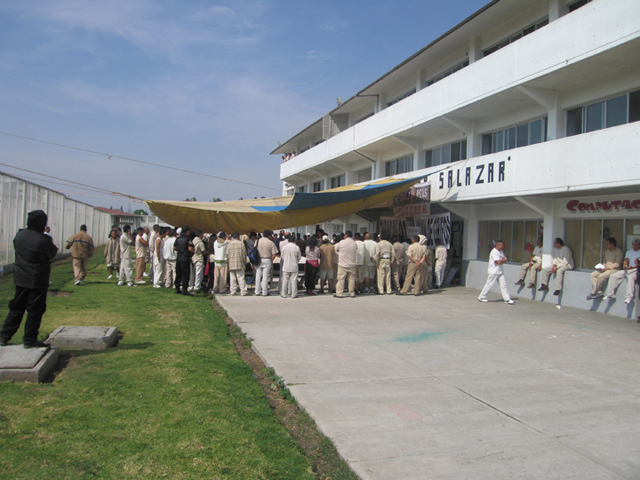 These performances took place inside a penitentiary in the south-east of Mexico City and not many people, beside the inmates and administrators of the jail, saw them. I draw attention to their work since there is a growing local interest in artistic practices that take on pedagogical concerns within highly politicized contexts. Siete grupos de Artistas Visuales de los Setenta. Testimonios y Documentos. 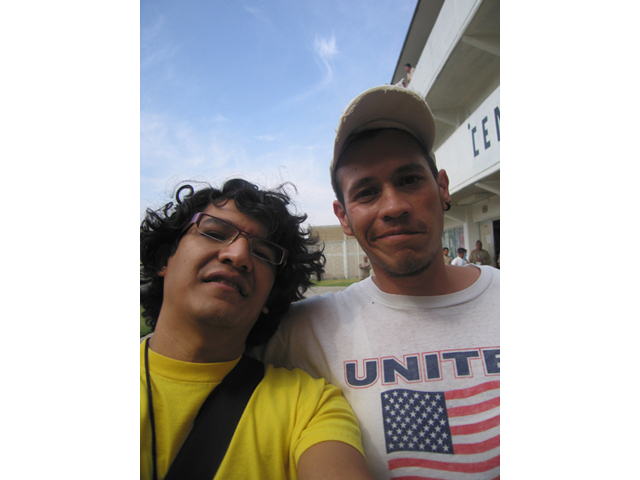 Last December 2009, I had the chance attend two performances by members of La Lleca. 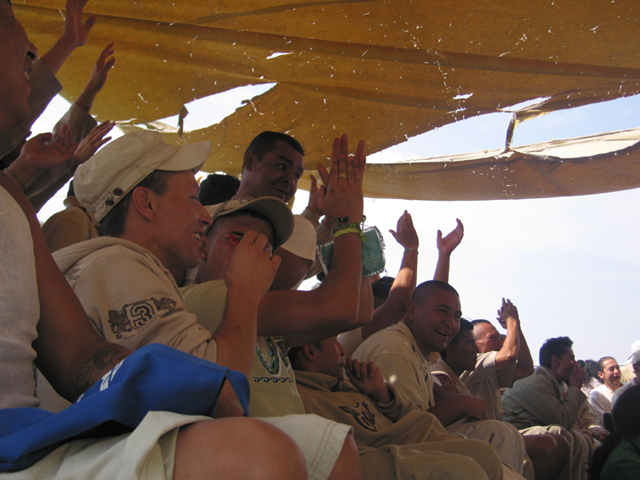 The event took place inside the Social Readaptation Center for Men in Sta. 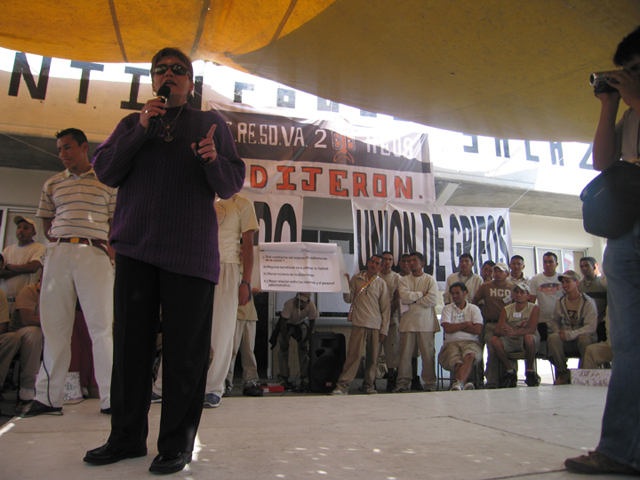 Martha Acatitla (in the south east of the city). 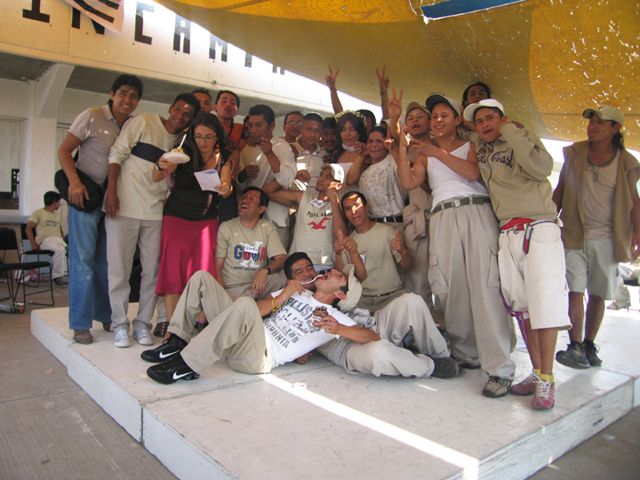 Both performances involved all 35 members and participants of the collective, some of whom have been involved for years (La Lleca is in its sixth year). The first performance is premised on a famous TV show, 100 Mexicans said, which was itself an adaptation of Family Feud, a TV game show that brings two families to battle each other for cash. Contestants had to answer questions and the right answer was always the most popular based on a previously conducted survey of 100 people. La Lleca appropriated this model and re-named it 200 Culprits said. Here, the individuals who came up with the questions, those surveyed, and those playing the game were all inmates of the same prison. The two battling teams were: on one side, the Tiracaldos and, on the other, the Union de Grifos (Stoners Union). 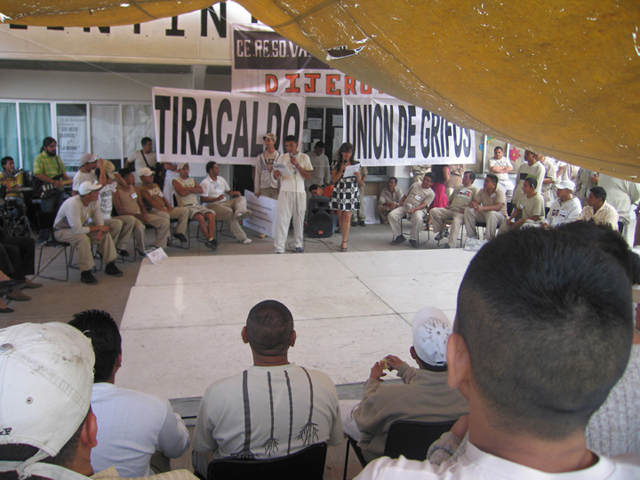 Tech support and logistics were provided by participants and members of la Lleca: they took care of the sound system, banners, tarps, and security of personal belongings while two members of La Lleca took the roles of host and hostess. Each team sent one member to the stage to answer the questions. If that member chose the answer that, according to the poll, is most popular, the team got a prize (a lollipop). 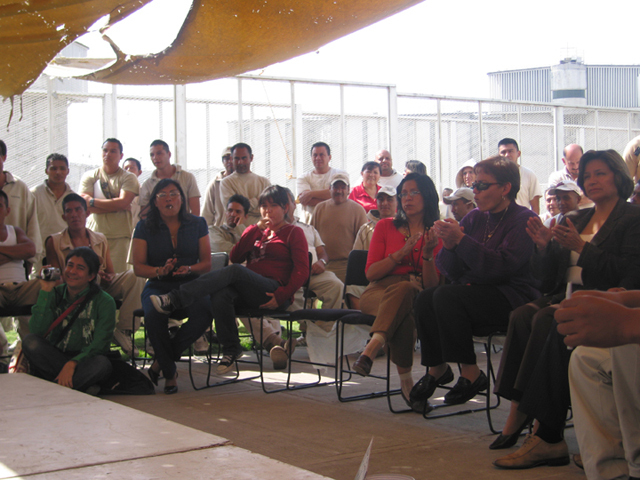 In this performance, the game show premise turned into a euphoric dialogue between the participants and the audience, including the director of the penitentiary who also took the microphone to respond to what she thought were unjustified requests by the inmates. 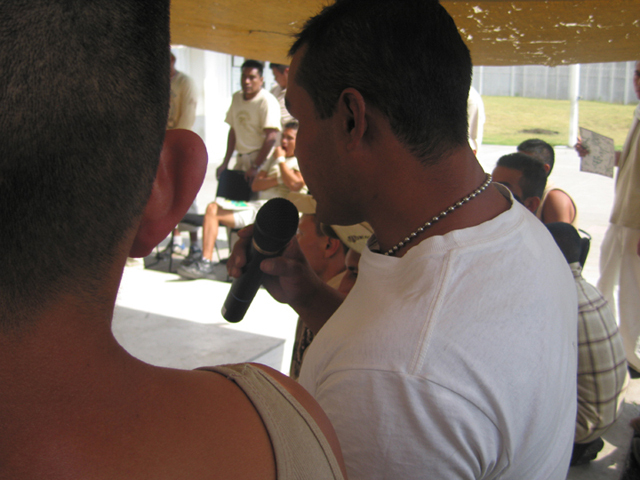 The performance ended with the lollipops being distributed among all the people present while one of the inmates, a member of La Lleca, voiced his reflections on an inmate’s way of life and how an inmate could become more critical. La Lleca’s second performance, The Bride, was by Lorena Mendez. She appeared from the office of the penitentiary’s school centre in what looked like a miniskirt/wedding dress made of recycled styrofoam cups and that foamy plastic tissue used to protect new monitors. She approached the crowd, got on the stage platform, and walked around the edges of the square stage. She then turned back, walking towards the building, and stopped in front of three large paper panels. On the first panel she wrote, “education, body, sexuality, prohibited.” On the next, she wrote, “institution, family, school, matrimony.” On the last she wrote, “partner, monogamy, heterosexuality, liberty” before walking back to the stage. 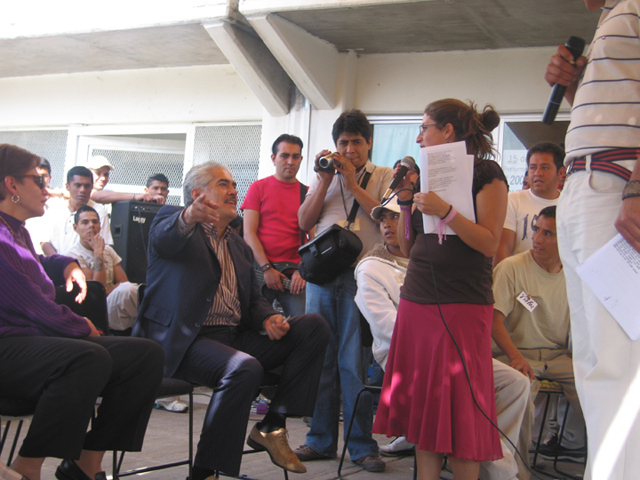 Lorena then spoke to the men in the audience, deconstructing the prescribed roles of a common love relationship. 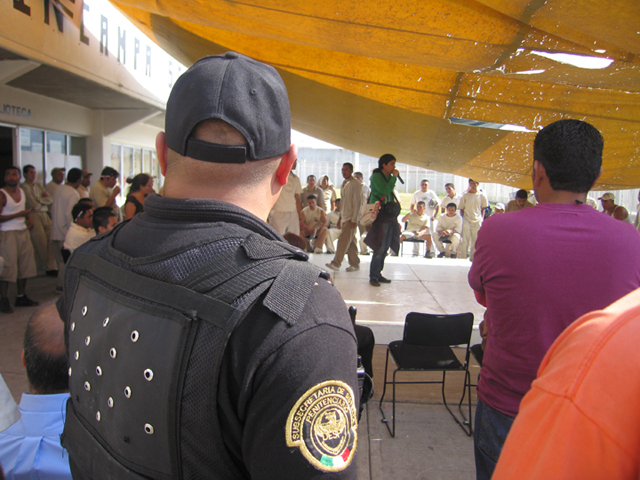 She continued, talking about her close relationship with an inmate, a member of La Lleca. There were comments from the audience about what Lorena was saying, cheering and exclamations of surprise. It slowly turned quiet as she began to tell a story of her mother, an average citizen, who one day decided to ask to see the director of a penitentiary and explained that she wanted to start group sessions with the women inmates. I looked around to see reactions to this personal story and everybody was concentrating, listening. I thought they were all probably wondering what led the woman in the story to make that decision. Lorena tied this story to talk about a way of caring for others that she learned from her mother, which part of Lorena’s feminist strategies when working with the men in beige through and affective practice. 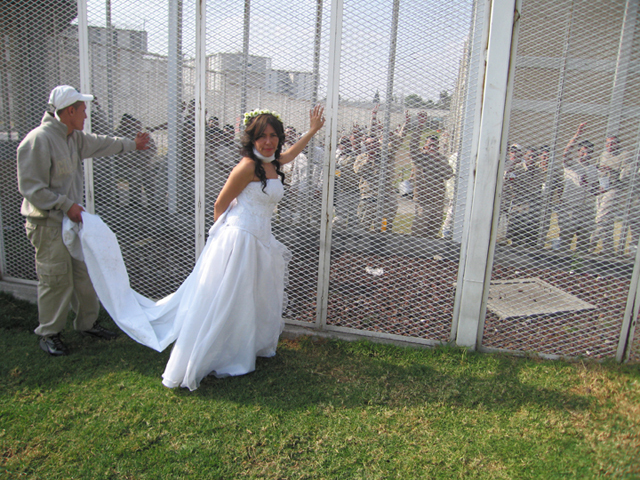 The performance kept unfolding as Lorena began to call on inmate members of La Lleca, asking them to think how they would like to be photographed for their wedding. 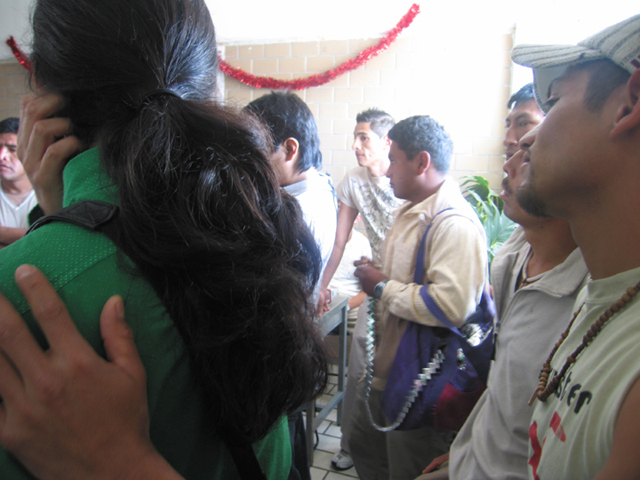 Each man assumed a posture that resembled a romantic wedding photo except for one, who asked Lorena to carry him. It was a very emotional time for everyone. One of the guys whom I had just met and who had been rapping on the microphone earlier approached me and asked if I would exchanged a jade ring that I had on my right hand for his bead necklace he was wearing. After I turned down his offer, he gave me the bead necklace anyway with a genuine hug. Lorena questions the institutionalization of love relationships, such as matrimony, by twisting its meaning inside an institution that is meant to dehumanize people, people who are for the most part already marginalized in society. She works toward breaking with the control that these institutions have over individual’s loveships/friendships. The pictures taken during the performance work as tangible symbolic markers for the trajectory of the work of reflection, a shift in performed social relations from violence to care and self-worth — carried through performative means. The inmates carry the pictures in their wallets as they move inside the jail — in the hallways, to their cells, and for Sunday visits with their families in the penitentiary’s yard. These ordinary routes are turned into a network of distribution in La Lleca’s practice. Both of these performances deal with the larger problematic of imprisonment. They were undertaken with a long-term personal investment by the group which allows for affection to be part of the process. 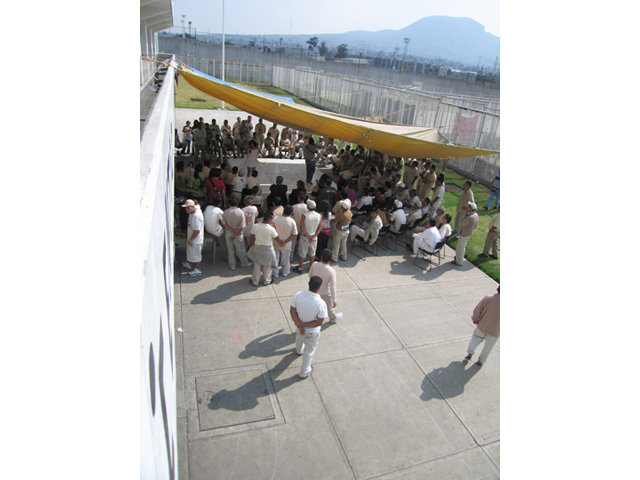 This method also allows a dialog in which performers and participants are in tune, and can speak and question with great insight about matters that are important beyond the security gates of the penitentiary. As much as I am all for this kind of approach, I could not turn a blind eye on the fact that this method is quite fragile and difficult to maintain, much like friendships. By the way, La Lleca is slang for the street.